The Avid Animal Identification System | Avid Identification Systems, Inc.
AVID® invented the animal identification system over 25 years ago and today helping biologists, ecologists and conservationists with animal identification and monitoring continues to be AVID's mission and business. Biologists around the world use the AVID Animal Identification System during mark and recapture studies to improve animal identification, research and monitoring. The AVID Animal Identification System has been developed to benefit biologists, ecologists, conservationists and the animals they study and protect. The AVID Animal Identification System utilizes RFID (Radio Frequency Identification Devices) to provide safe, effective, permanent animal identification. The AVID Animal Identification System uses an injectable transponder (PIT tag) and a transmitter/receiver (scanner) to accurately identify and monitor a variety of wildlife species. Ongoing research done by the U.S. Fish and Wildlife Service includes mark and recapturing of such animals as wild bison, black-footed ferrets, grizzly bears, elk, white tail deer, land tortoises and armadillos. The AVID Animal Identification System helps biologists around the world by providing rapid, error-free individual animal identification. The AVID Animal Identification System is the ideal solution to identify and monitor animals in there captive or natural habitats. The system provides comprehensive identification by bundling the necessary products for an effective animal identification system. The system includes everything necessary to begin improving your research and monitoring programs. When you choose the AVID Animal Identification System you get products that are designed to provide safe, effective animal identification. AVID PIT Tags - AVID PIT tags come in various sizes for different applications and environments. AVID offers 125 kHz or 134.2 kHz frequency coded PIT tags and has several injection systems for administering the PIT tag. Each PIT tag is ready for quick, easy administration. AVID Delivery Systems - AVID delivery systems provide rapid, sterile injections of the AVID PIT tag. AVID delivery systems are suitable for field and clinical environments where portability and convenience is important. AVID Scanners - A handheld or stationary transmitter/receiver that emits a radio frequency to energize and read the PIT tag within its electromagnetic field. AVID offers a wide selection of scanners for your research project that combine quality and optimum performance in a rugged, lightweight functional design. Each PIT tag has a unique individual identification number for accurate animal identification. AVID PIT tags do not harm the animal or disturb his behavior in any way. 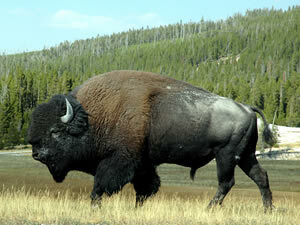 Endangered or threatened animal species can be studied in their captive or natural habitats. Once implanted, AVID PIT tags provide lifetime animal identification that is virtually impossible to retrieve or alter. Unlawful hunting and trading is curtailed when poachers and smugglers are caught with a PIT tagged animal. Improve research, monitoring and breeding programs as well as record keeping of endangered or threatened species.